Square Vibrating Sieve adopts a quick disassembling handle at the upper part of this machine. The handle connects the machine as a whole. Its upper cover is sealed fully, so that the dust emissions can be prevented during the process of sieving. The vibration motor is installed under the sieve, which ensure the compact structure of the materials. The machine also adopts the spring to reduce the vibration, so that it can be operated under a stable state. 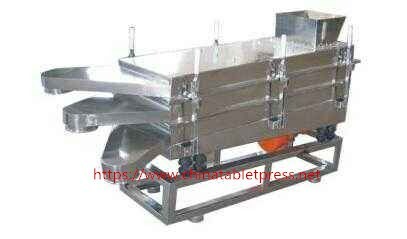 The machine base is adjustable, so the inclined angel of the sieve can be adjusted. Square Vibrating Sieve is an ideal device for sieving in pharmaceutical, foodstuff, chemical, metallurgy and electronic industries. Vibration screen is consisted of vibration chamber, shaft coupling and electric spindle. The vibration sieve has low noise, high output, low energy consumption. 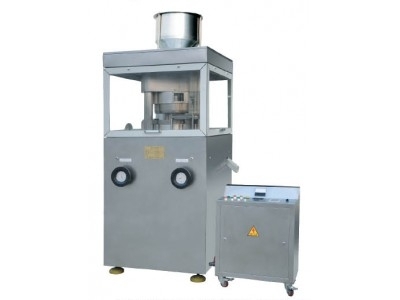 The vibration sieve can continuously screen different sizes of particles.